Compress 1GB, 2GB, 3GB, 4GB, file Into 10MB upto 700MB ? You are here: Home / Tweaks & Tricks / How To Compress 1GB, 2GB, 3GB, 4GB, file Into 10MB upto 700MB ? Many of questions are asked on the mind, Can I reduce the file sizes? Suppose if in your smartphone have less storage space and you want to keep the bigger size. Then what will have to do? Have you any idea? If you want to highly compress files sizes you need for a Software. After that, you can reduce any big file into a small file, and can easily store your file on your device or can share your file with your friends. In Today’s post, I’m going to share two methods that will help you to highly compress your files into 1GB up to 10MB. How To Highly Compress Files? 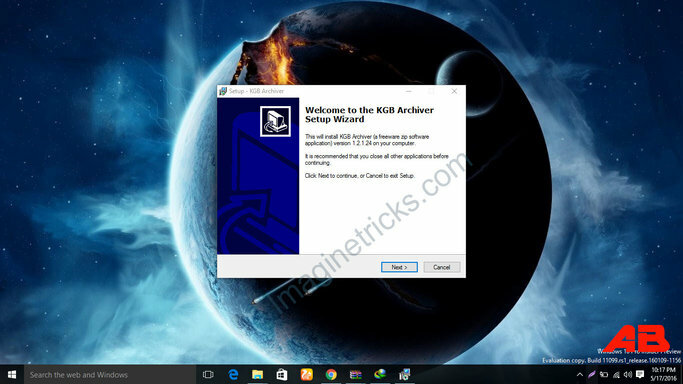 KGB Archiver is the highly compressing software which unbelievable high compression rates file into normal. It surpasses even such efficient compression tool like 7zip and UHARC in terms of the abilities. KGB Archiver uses AES-256 encryption to encrypt archives. How to Compress any file Gigabyte to Megabyte? Change the Compression level from Normal to Maximum and leave archive format as KGB. On Third Now select the file which you want to Compress by Click on Add File option. But I cannot compress file GB to mb I setting 7zip correctly as you told but ratio no reduce please help me what can I do …. How I compress highlly.. please help me. @Akshay. You should need to try first methods.. I also Comprised 10 GB to 240MB only 20min, Please note there, Your Compression Time is depends on your PC, like how fast your Processor and Hard drive rewrite speed Even CPU and RAM speeds etc.. So i have request plz say how to compress my files into small size . But I cannot compress file GB to MB please help me what can I do …. How I compress highly. Dear, Jafar The Process will take a long time to complete in AMD Processor, If you want to compress fastly you will need for the best Performance PC inbuilt with High-Performance Processor and RAM. I am currently compressing 2GB of a file via KGB Archiver and followed instructions for that software. I also set its priority to high. But it’s been 14 hours and counting, I am using my laptop but with these quick specs: intel core i7-3610QM (quad-core), 8GB Ram, and 2GB NVIDIA 610M Graphics. Perhaps you can agree that this is fairly high-performance. Checking task manager it’s only taking up to 20% of my CPU and I still have 25% unused ram. Am I on the right track here? One last question, does it make a difference whether it’s done in a Desktop instead of a Laptop? I will let you know the outcome of this. Fingers crossed. Immediate reply is highly appreciated. Hi Dear Mohammad, You may follow 7Zip Procedure for compressing a file. Lappy or Desktop is not vary and it should have minimum 8 GB of RAM and Rewritable.